7.45 - 8.30 am: Our car and guide will pick you up at your hotel (Hanoi Old Quarter), departure to Halong bay. 10.00 am: Have a short break about 20 minuttes. 12.00 pm: Arrive at Bai Chay, Halong Tourism harbour. 12.15 pm: Start cruising to visit Ha Long Bay - one of the New Seven Wonders of the World, UNESCO World Heritage Site and have lunch on the cruise. 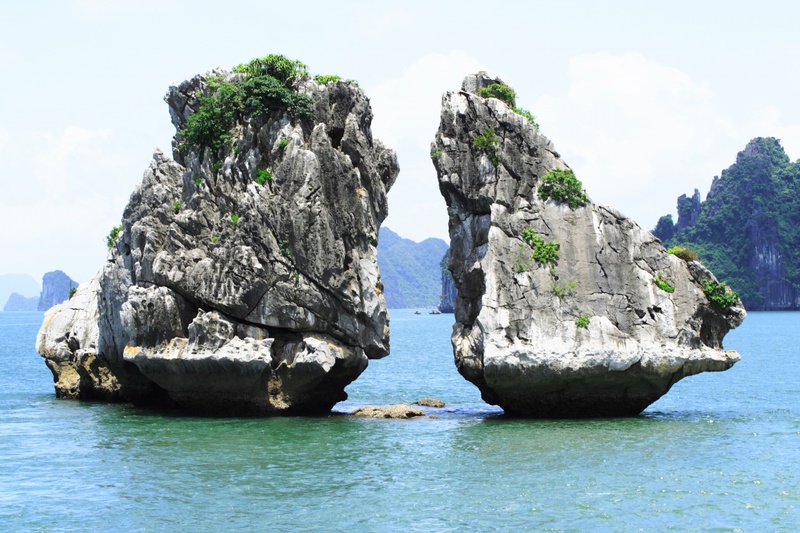 14.30 pm: Visit Thien Cung Grotto - one of he largest and most beautiful grottoes in Halong Bay. Its structure is complex with different levels and chambers, which contain richly ornamented stalactites and stalagmites formed millions of years ago. Visiting Thiencung Grotto, tourists can enjoy interesting stories about the shapes of the stalactites and stalagmites closely connected to the Halong Bay legend of King Dragon. And then visit Dau Go Cave (Hidding Wooden Cave). 15.30 pm: Enjoy kayaking around floating village, wonder daily life of fishing men on the bay. 16:30 pm: You will return to Halong tourist wharf and take the bus back to Hanoi. We drop you off at your hotel. Your tour will finish at 20.00 pm.